The new Strike Force HD Elite camera is still the smallest high performance trail camera in the hunting industry. The 2016 Strike Force HD Elite cameras feature an incredible 0.4 second trigger speed and 1.5 second recovery time between pictures. It takes 10MP stills and records HD 1280 x 720 video with sound. Timelapse Plus shooting mode captures images at pre-set intervals over a designated period of time, and Browning's supplied BuckWatch Timelapse Viewer Software enables you to see patterns and change over that period. The camera is also capable of capturing up to 8 images in Multi-Shot mode or Rapid Fire mode--ensuring that you don't miss the action. Photos and videos are recorded onto optional SDHC memory cards up to 512GB. The Command Ops Trail Camera runs on 6 AA batteries, which are available separately, or on an optional external power supply connected to its 12V power jack. It's configured with a TV Out connector for viewing on your television and a USB port for image transfer to your computer. 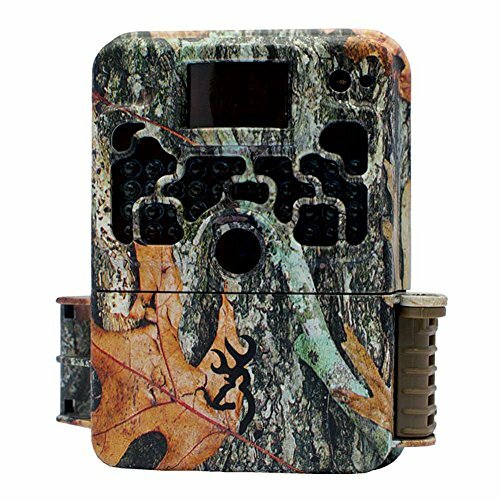 If you have any questions about this product by Browning Trail Cameras, contact us by completing and submitting the form below. If you are looking for a specif part number, please include it with your message.